Sing, it's good for you......Sing barbershop it's fun! “Singing is really, really good for you and the most recent research suggests that group singing is the most exhilarating and transformative of all. 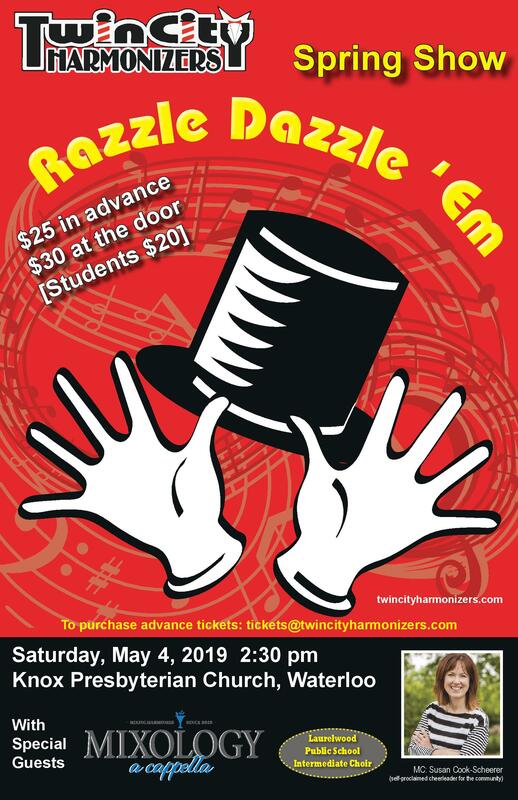 The Twin City Harmonizers have been performing in the Barbershop style representing, performing and doing service work in this community and the Province of Ontario continuously since 1946. For more information go to "About Us" in the menu (top right) and explore various menu choices or you can submit questions using Information Request Form .